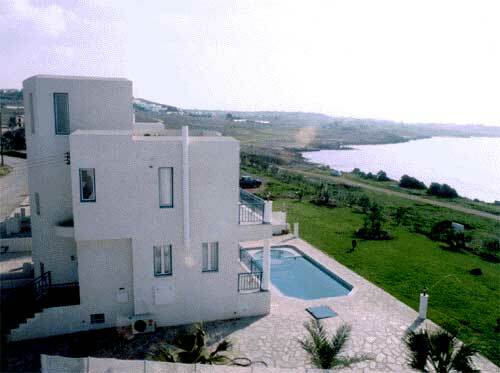 GENERAL DESCRIPTION: Select six bedroom villa complex set in the secluded area of Rodafinia on the outskirts of Chloraka village. 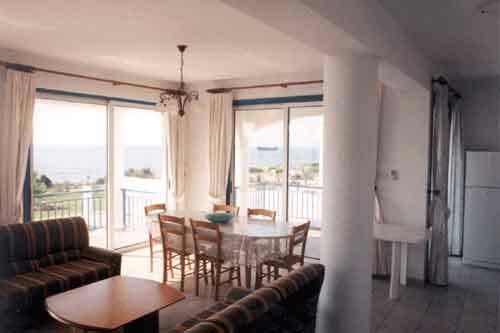 The villas offer quiet surroundings, sea views from the Coral Bay coast to the Paphos Harbour and is only 50 metres from the beach making it easy for any visitor to enjoy the rugged beauty of this region to the full. Just 300 metres below the main coastal road, these six brand new beach villas are well furnished and all have three floors suitable for up to 12 persons in each villa. 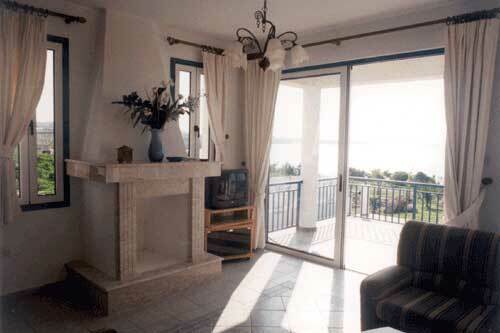 One of the villas has ramps and is suitable for wheel chair users. 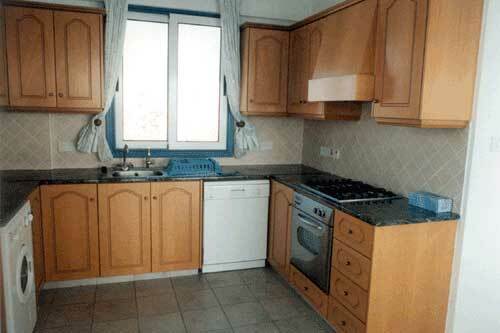 Two double bedrooms (one en-suite) and four twin rooms. 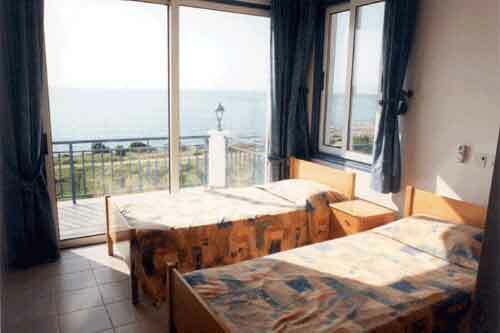 Three of the twin rooms are on the semi-ground floor and the other bedrooms are on the first floor and open onto a large sea-view balcony. 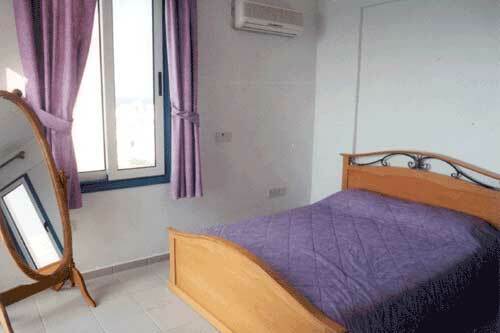 All bedrooms and living areas have air conditioning. FACILITIES: The ground floor consists of a lounge area with an open fireplace, television, stereo, CD player, VCR and DVD Player. There is also a NOVI satellite television system, available on request, allowing you to view over 100 TV channels. Please order NOVI at the time of booking your villa. There will be a small extra charge for this service. There is a fully equipped kitchen with refrigerator, washing machine, dishwasher, microwave, electric oven, kettle, toaster,large dining table and guest WC. 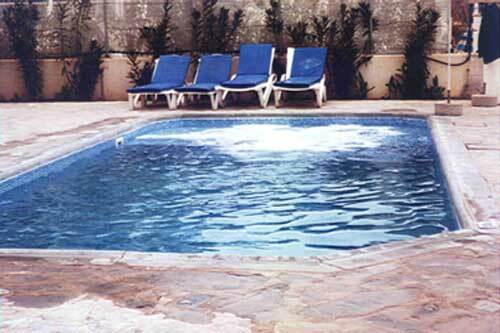 Every Villa has its own mosaic style swimming pool (9 X 4.5m) complete with Jacuzzi, sun beds and umbrellas. DISTANCES: These seafront villas are just five minutes from the first Cypriot taverna and 10 minutes stroll from the village centre, pubs and restaurants. The famous Tombs of the Kings are 15 minutes walk away. 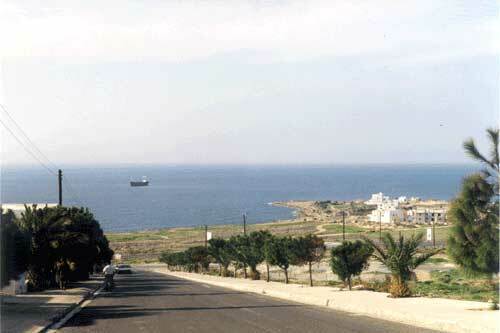 Paphos Harbour and Kato Paphos tourist area is only a 7 minutes drive away. 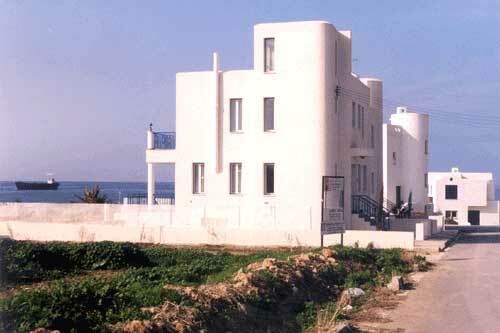 The same short distance drive applies for visiting the colourful market in Ktima or any of the Paphos Museums. Coral Bay's famous sandy beach stretches in the distance just 15 minutes drive away. 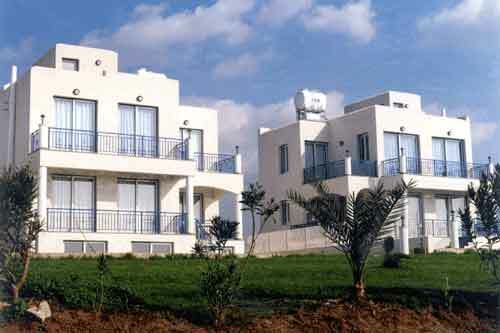 The location of the villas is very handy to drive to all the Paphos tourist points of interest. 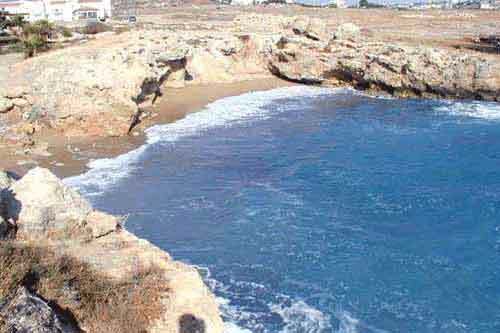 Paphos airport and Tsada golf course are only 25 minutes drive away. Welcome pack including coffee, tea, juice, wine, flowers, milk and water. We can arrange transfers Island wide.